Hi! I’m Katie, of the blog Chocolate-Covered Katie. 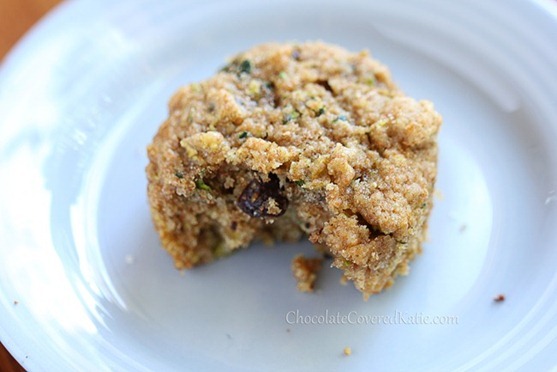 If you try them, I hope you will love these zucchini muffins as much as I do! Preheat oven to 350F. 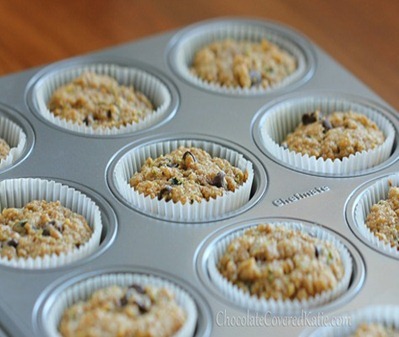 Place cupcake liners in a muffin tin. In a large bowl, combine all dry ingredients, then set aside. In a large measuring cup, combine all liquid ingredients, including zucchini. 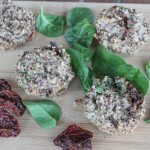 Mix wet ingredients into dry, and immediatelyportion into the baking cups and place into the oven. Bake 19 minutes or until muffins have domed and a toothpick comes out clean. 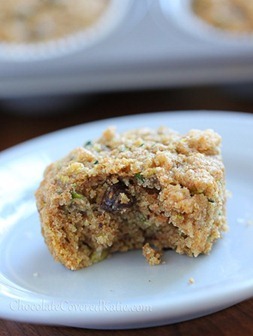 Allow the zucchini muffins to cool before removing from the tray. Makes 10-12 muffins. Please do stop by sometime at Chocolate-Covered Katie and say hi. I love meeting new people. 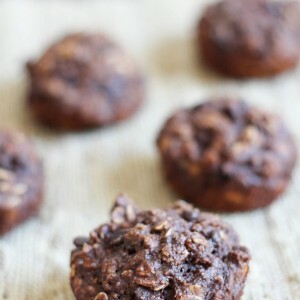 I want these this morning for breakfast! They look amazing! 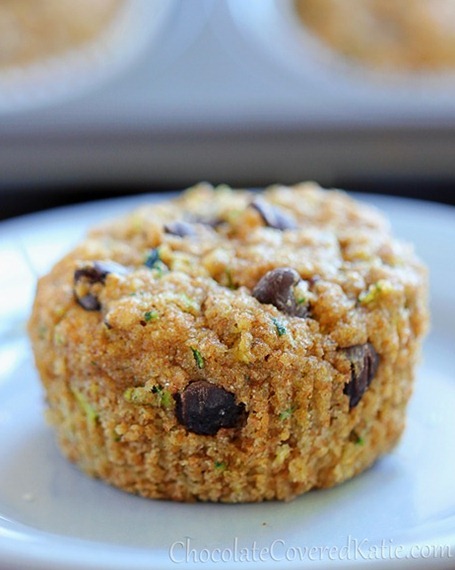 I got tons of Zucchini yesterday at the farmers market and one will be for these muffins! 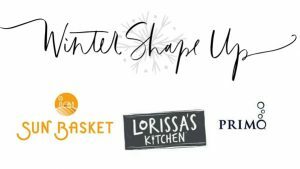 Thank you for the guest post, and I LOVE your blog, been a fan of it for a while! My mom used to make chocolate zucchini muffins & cake all the time when I was a kid — a blast from the past for me! 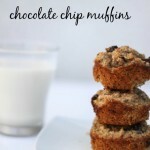 Yum, Katie, I am baking these today! I love your GF recipes, but I haven’t tried this one yet. 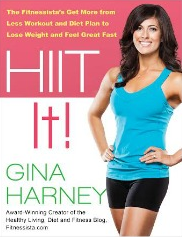 Hope you had a fun vacation Gina! Thanks for the recipe. This would be perfect for a fall morning with a big ole’ cup of coffee and a good book! yum. 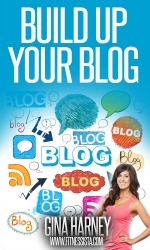 My two favorite bloggers? 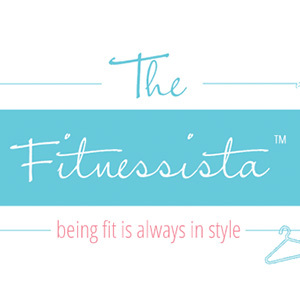 Chocolate Covered Katie and the Fitnessista in one!? Too exciting. 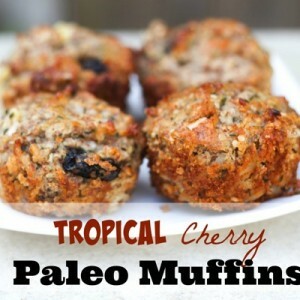 And I am needing to try these muffins. Yes! Thank you Gina and Katie for bringing this recipe to my attention. I’ve been needing to use up some zucchini, and this is a great way to do it! Ooo! I can’t wait to try these! 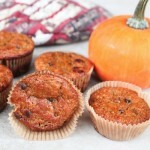 I made carrot cake muffins (minus the sugar) that were similar to these the other day. Zucchini would be yummy too! do you need eggs for this recipe?? ?